GWANDA - A taxi driver was found hanging from a tree two days after he ran over a Police officer at Cindrella F mine near Mtshabezi Cemetry. Bright Nqobile Nkomo (26) of Phakama who was driving from Blanket towards Gwanda panicked after the accident and ran away leaving the vehicle engine running with the cop under the car. The injured cop was taken to hospital by a motorist who passed by. 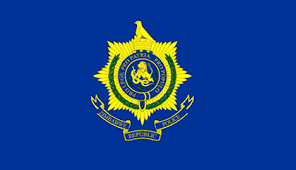 Blackson Muzamba (39) a Police officer with Mat South projects Department died at Gwanda Provincial Hospital, a day after the accident. The incident happened on March 1, 2019 at around 8am. Nkomo’s body was found hanging from a tree five days later by a Valentine South Mine employee who was fetching firewood behind Cindrella F Mine. Muzamba was found lying in front of the vehicle by another motorist who picked him and rushed him to Gwanda Provincial hospital where he died a day later.